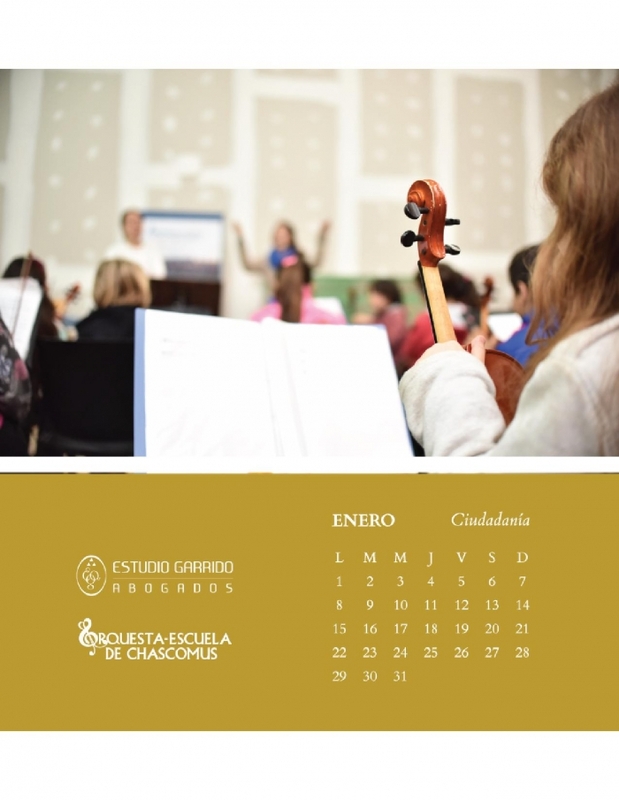 Orquesta-Escuela de Chascomús is an educational program focused on orchestral practice with high social and cultural impact. 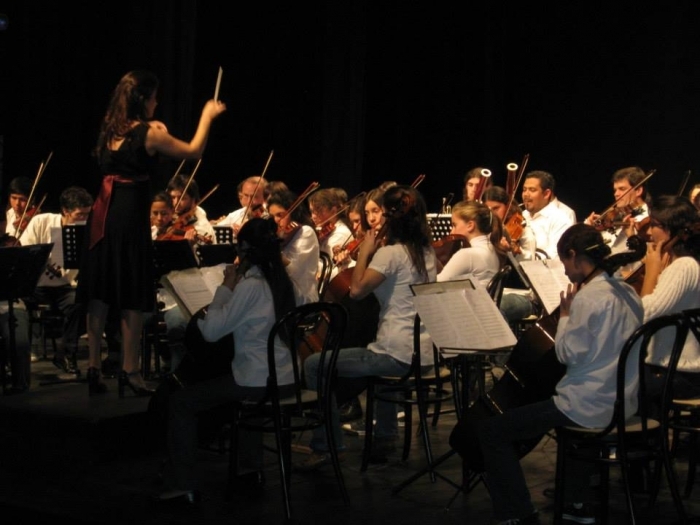 It welcomes small children and boys between ages 3 and 25 with no musical background. 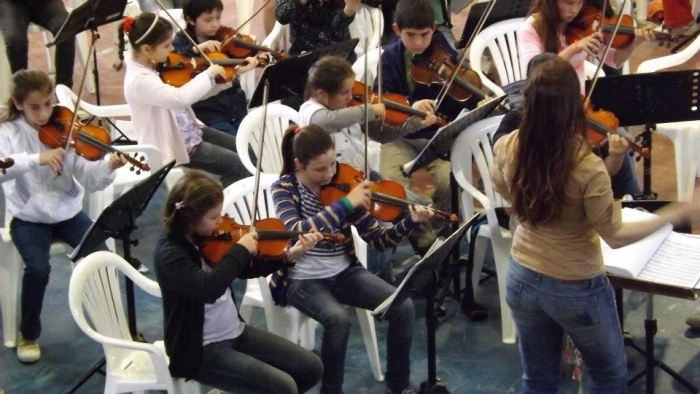 This youth orchestra was conceived by its founders as a tool for fostering personal growth and as a social model with which community values, attitudes and experiences can be forged and explored. 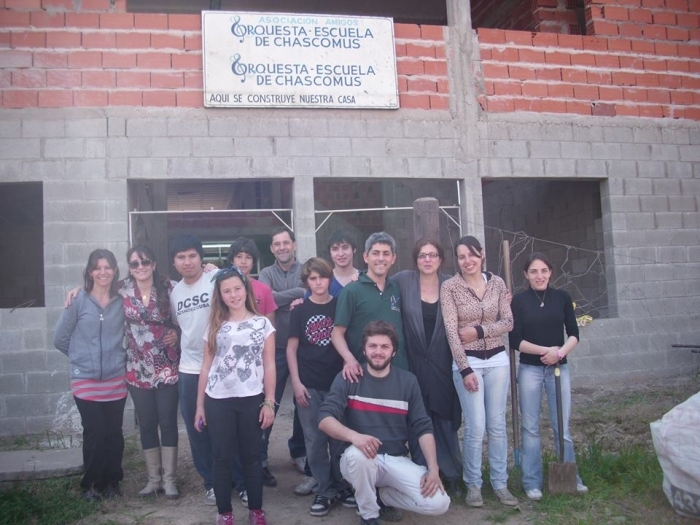 Its main goal is to help their students fulfill their development potential to the fullest and to engage in a practical collaboration strategy with the most vulnerable sectors of society. 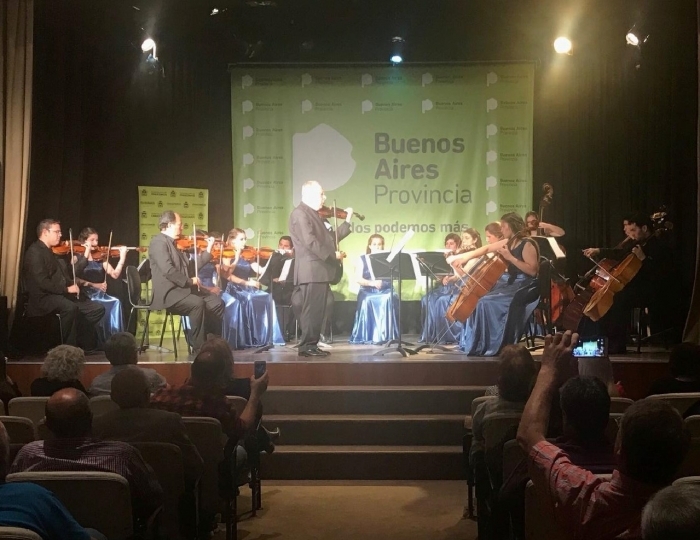 Moreover, the Orchestra favors community insertion amongst its members, grants them access to cultural goods and practices, and provides them with support in the development and completion of their life goals and projects. 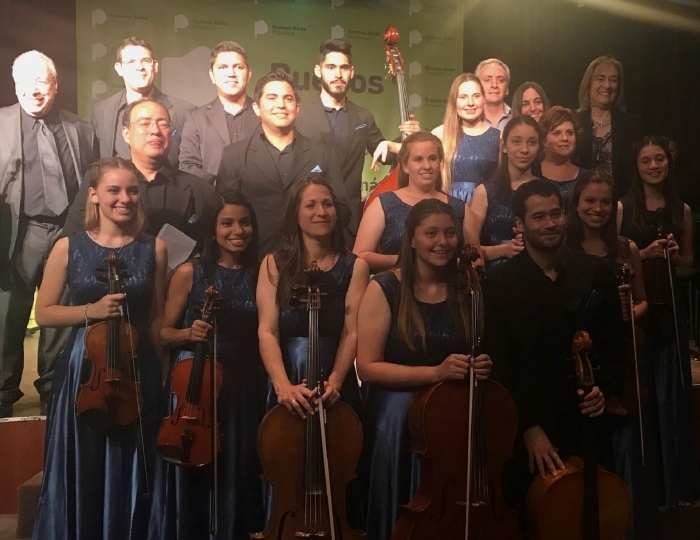 The Orquesta-Escuela de Chascomús started with a body of 30 students, and after over a decade it has reached over 300, which is a remarkable accomplishment considering the town of Chascomús itself has a population of 35,000 thousand people. 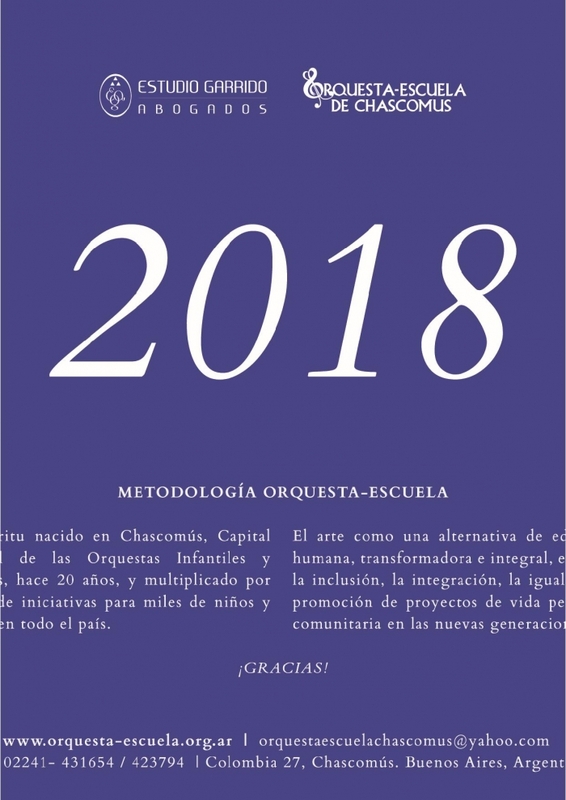 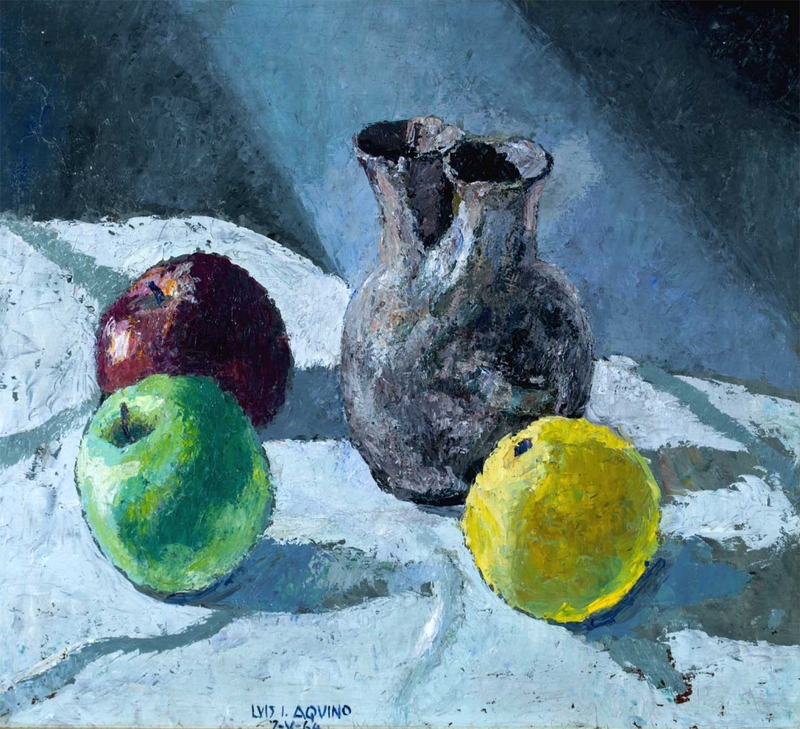 Over the past thirteen years of its existence, over 1,500 students of different ages and walks of life have had access to this novel pedagogic process. 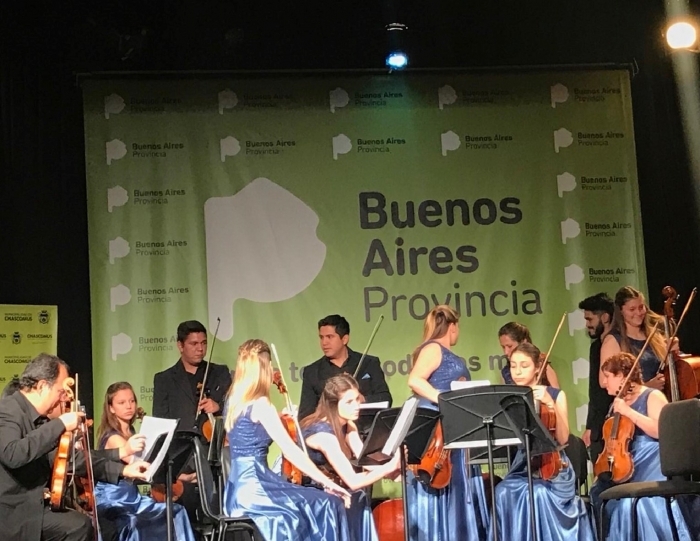 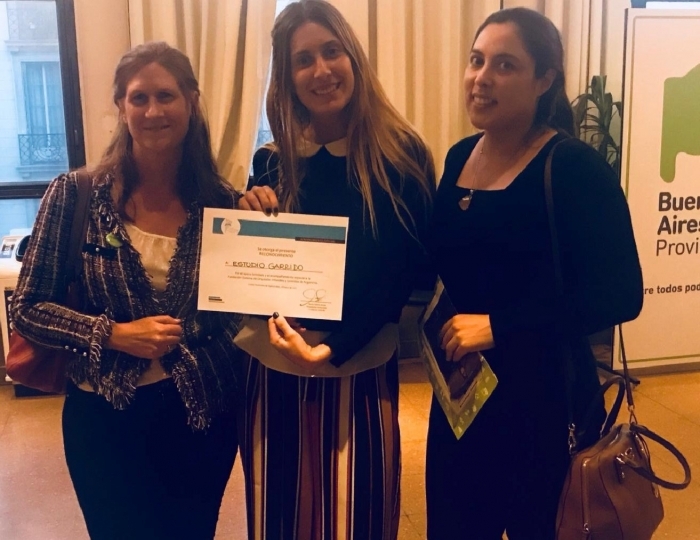 As a result of this program and the personal, family and social tools offered by Orquesta-Escuela Chascomús, many advanced students are currently working in the professional fields of music and teaching, transmitting their personal and academic experiences to others. 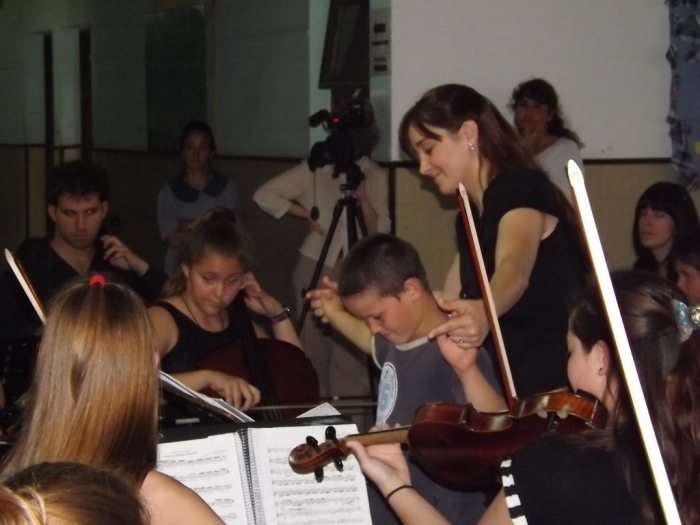 This educational proposal transcends the sole realm of musical training, since it also seeks to promote core personal values and to strengthen the bonds of family and community. 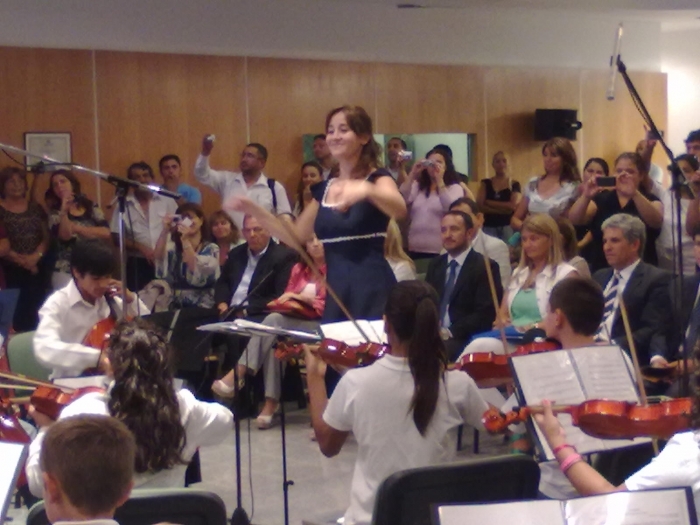 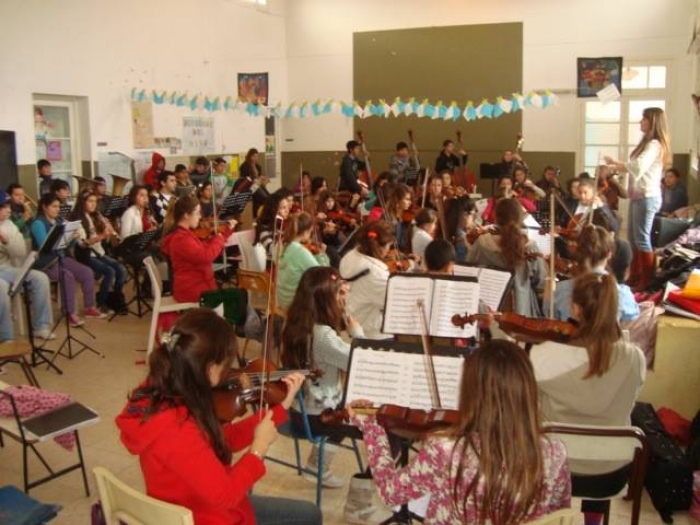 As part of its social agenda, the Orchestra tries not only to open more education possibilities to boys and teenagers, but also to provide them with an alternative space for socialization and development during their free time. 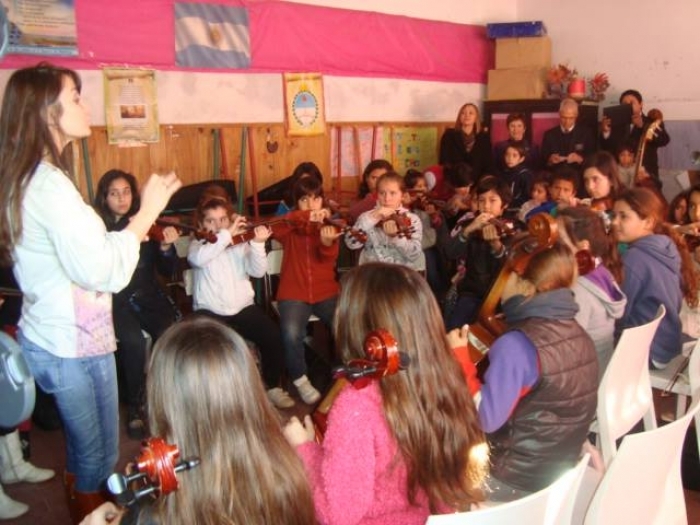 The focus is placed in the implementation of daily training programs which include different activities such as workshops, individual and group lessons, as well as musical lessons and training every day. 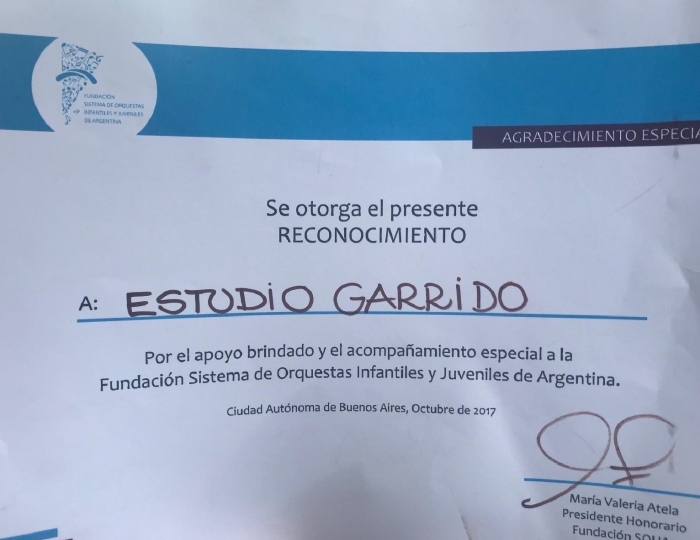 Through hard work, dedicated study and community engagement, this educational program helps shape the citizens of tomorrow, allowing them to develop a strong sense of responsibility and to become genuine and efficient members of the professional world as well as of society as a whole. 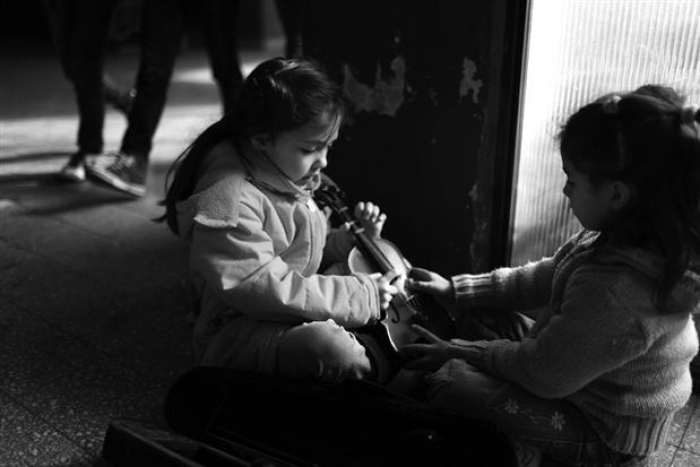 For more information about how you can contribute, please call 02241-431654 / 423794.